Please review the free material first to educate yourself on our products before contacting customer service. 3. 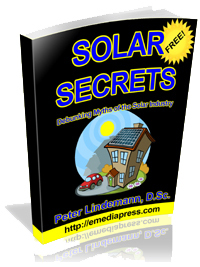 Read the FREE Solar Secrets book by Peter Lindemann – even if you are not interested in solar, you can read the battery chapters towards the back. 4. 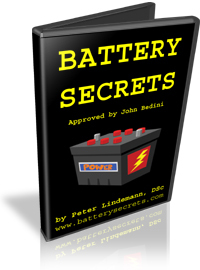 It is highly recommended to purchase both of the Battery Secrets and Battery Rejuvenation lectures given by Peter Lindemann. They are complete presentations that will teach you our trade secrets and why our chargers and rejuvenators do what no other company’s products can do. NEW OR PENDING ORDER QUESTIONS, OR YOU WANT TO CONTACT TESLA CHARGERS FOR ANOTHER REASON? Please email Jeff Moe at the email address listed in the banner at the top of the page. I have found someone selling their Tesla Solar Power Amplifier, however, I can not find this product on your site. Please send me a link or some info on this product. Thanks. Hi Kata, those are older discontinued items so the only way to get one is to find someone willing to sell their used one. The Solar Tracker 5’s that we have obsolete that model. Thanks. How much would one want to invest in the older model? They seem to be asking a lot, enough that it would make more sense to buy the 5. But perhaps I can bargain with them. I don’t recall their cost, but if you get one, it won’t have a warranty so it is at your own risk. What panels and battery bank do you need a charge controller for? Par ailleur je dois payer des taxes de douane à la livraison ! ce qui augmente le prix du chargeur ! By BTW I have to pay customs charges upon delivery! which increases the price of the charger! Thank you to answer me. Here it is: http://www.westmountainradio.com/product_info.php?products_id=cba4 charts all the data too so you can see the capacity growing and growing after each cycle until it hits a plateau. Hi Grant – ok if you already have the 1AU and that is what you’re using, the batteries would be worn out beyond repair most likely. I don’t know if there is anything different inside that prevents the rejuvenation. I have some cheap nicads from Harbor Freight (18 volts) for one of my drills from there and these batteries work ok when freshly charged but these things don’t hold a charge more than 1-2 days no matter what. It is almost as if there is a resistor between the terminals inside the battery to make sure the discharge slowly and have short life so we have to keep buying them more often. I haven’t proven that is what they’re doing and I doubt Makita would do something like that so I don’t know. Is the 1au working fine for all other batteries? Hi Aaron, I ordered 2 units of S40A24 on April 21. Although I received a shipping notification on June 11 with a 10 business day time frame for me to get the items, I’m yet to receive the controllers. As at today, July 12, tracking info from USPS indicates that the package is still at Kent. I’ve notified Jeff about this but there’s no resolution yet hence this post. Please follow up. Thanks Aaron. I’ve received further communication about my order from Jeff but I’m dissatisfied with the trend of our conversation. Please send an email to my address microburstltd@gmail.com so I can privately communicate my dissatisfaction on this issue to you. Thanks. Hi mate. I am having a few issues with the EX25A12 charger I bought from Radiant Charge on Ebay, which I received just over a week ago. The guy sent me a different looking charger than advertised and said it was an upgrade. This one has analog voltmeter (and the advertised one had digital). I don’t understand why an upgrade had gone back to analog. But there are other problems with the charger. First of all the information about indicator lights is false. I had discharged a 35 Ah battery to 10.5V then put it on the charger. The green light was bright and red light very dim. It remained like that for 2 days (manual says lights will flash when charged). I tested the battery then and had no change in capacity. I tried with another such battery and same result. These were AGM’s. I have tried a 600CCA lead acid battery and same. My Optimate Pro 8 charger seems to do better. Could this be a faulty charger? Manual claims to charge a 1000Ah battery in 11 hours so why can’t it improve capacity of a 35Ah battery in 2 days? Fact is, I am following instructions per manual (which is written worse than for equipment made in China) and not getting results. Your website claims a lot about this charger. You may tell me to contact the seller (which I have) but whoever sells, it is the same people who make this charger. Can you please check on these new machines and tell me if the information about indicator lights in correct. Since mine isn’t behaving as per the manual, maybe this is a faulty machine. Hello Anir, please email me a link to the charger on ebay – I couldn’t find it. Email it to me at the email in the banner at the top of this page. R Charge is selling bootlegged versions of our chargers and are all junk and they’re doing so without permission of the inventor. I have forwarded you some emails from Ebay and R Charge. Shows the items they are listing now. Also our conversation before I bought I bought the charger, in which Dave told me that “Aaron and I sell the same chargers. They are built by John Bedini of Energnix”. Thanks Anir, the email will be forwarded to me soon. I don’t know who Dave is. In the personal email you sent me you agree that you know Dave Wing and that Radiant Charge sells John’s chargers. I don’t understand why you didn’t want to admit in this forum. You also said you’d not support customers of the your dealers. I find that absurd as overall you as the manufacturer is ultimately liable for faults and warranties. So this 25A12 charger your re-seller Dave Wing sold me is made by Energenx. You can ask him why he put ‘EX’ in his ad.I tried emailing Energenx but their email bounced. All I am saying is that this charger that was sent to me doesn’t meet the claims Dave has in his listing or Energenx and Tesla Chargers have on their website. If you have proven record of these claims then perhaps my charger is faulty. I have proof that this charger has made the capacities of my batteries worse. I am documenting every aspect that is not meeting with the claim (or user manual) including discharge graphs using West Mountain Radio CBA and amplifiers into a video and will be posting it online. I paid a lot of money for this charger including shipping to Australia based on your claims and I have a problem if it doesn’t meet those claims. I think you need to re-read my email. I had no idea who Dave is without giving me a last name. We are the primary dealer for John’s chargers and I thought I knew all of the other dealers. Why should I provide customer service for other dealer’s customers? We usually do anyway when other dealer’s customers contact us for help, but it is the responsibility of the dealer who sold them the charger. Tesla Chargers is NOT the manufacturer. We are the top dealer for EnergenX’s chargers and we do honor our guarantee and warranties when they are purchased from us. It is not our business to cover this for chargers sold by other dealers – that is their job. This is an example of an EX model, which there are only two. S10A12 and S20A12 – example: http://teslachargers.com/products/solar-charge-controllers/solar-10-amp-12-volt-lead-acid/ those are the EX models with the newest circuits. If Dave is using EX in front of the 25A12, then that is his own coding system, not ours. My apologies Aaron. I thought you were the manufacturer. I have started up an Ebay dispute and hopefully can return the charger and get my money back. Sorry for the trouble. No problem. I’m sure Dave will help you out to the best of his ability. He wouldn’t be offering these chargers if he didn’t have a good reputation. Aaron, In light of the Bedini SG kits being unavailable, I was wondering if you have a schematic of the frame so that I could perhaps fabricate it myself? 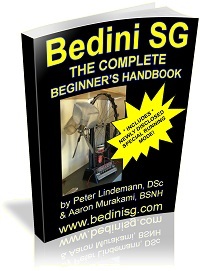 I have all three Bedini SG books but they only give measurements etc for the initial wooden frame in the beginners book and not the one we see in the video with yourself and Lindeman etc. The frame you saw on the video was made on a CNC mill and we do not have the specifications. If you have the ability to fabricate a frame yourself, you can either use the measurements for the wooden frame given or calculate your own measurements to build a custom frame. There are many variables to consider so you will need to use measurements that fit the wheel and coils you will be using. Did anyone ever tried to put the solar charger parallel? I mean 2 x 48 Volt gives you more flexibility in Solar Panels which can be used. My lead acid battery is 12 V, 12Ah, what is the right charger? Even though I already answered your question by email, I am also answering here for information to others. The 1AU chargers is rated for batteries from 2Ah-10Ah and the 2A12-EX is rated for batteries from 20Ah-80Ah. Your question is regarding what to do if you have a battery in the 10Ah-20Ah range. I recommend to base your charger choice on the capacity of batteries you will mostly be charging. If you will be mainly charging smaller batteries below 20Ah, I would choose the 1AU charger. If you will be mainly charging batteries larger than 10Ah, you can use the 2A12-EX and connect batteries of similar condition in parallel to make the total capacity greater than 20Ah. If batteries are connected in parallel for charging it is important to make sure the batteries are in nearly identical condition and capacity, since mismatched batteries will bring the condition and capacity of the better battery down to the level of the lower battery. Lost my post so re-posting: What Tesla charger must I use for 12V 12Ah? I would like to purchase the 2A12 battery charger. What do I need to do to buy one? I’m afraid I have inverted a few minuts the POLARITY +/- when trying to charge a battery. Now, the voltage is not progressing up to 15v and red LED is always on. Hi I am looking for a neon sign transformer and or power supply that has an output frequency of 35.1 KHZ … Does anyone know a specific brand or model no, that uses this frequency ??? Hello. Is it right that the patent rights have a startup from Austria? I wanted to sell a home-made Bedini and I was written that I would violate patent rights and in an emergency, 5000 euros penalty must pay.